Connect advertising solutions effectively target Alberta Retailers at a fraction of the price of traditional campaigns. An Agency can market new products, limited time offers, or brand awareness initiatives directly to Liquor Buyers. Note, advertising is very popular so placements are booked on a first come-first served basis. 98% of Retailers order online through Connect! Reach the specific individual placing the liquor order! Post your high resolution banner ads on LiquorConnect.com for instant visibility. The banner ads can be targeted to Consumers, Agencies & Suppliers or Retailers or any combination thereof. Note pricing information can only be visible to Retailers and Agencies. Sponsored Products is an opportunity on LiquorConnect.com offering Agencies, Suppliers the ability to spotlight their products to Consumers and Licensees within search results. Draw the attention of 98% licensees who order online and consumers that use the search catalogue! 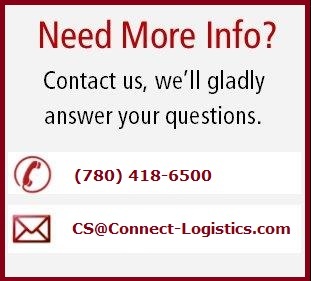 Connect can distribute printed materials (LTO/new product information, etc) to all clients that order through Connect. This is great for longer sell messages or brand awareness. Connect can now upload your Flyer advertisement (LTO’s, new product information, etc) to the LiquorConnect.com website. Uploading these flyers to LiquorConnect.com would target over 98% of retailers that order online.This includes liquor stores, hotels, pubs, restaurants, nightclubs, etc (all CLS customers). Connect offers black and white ad placements on liquor pallet manifests. Your ad(s) will be printed on an average of over 1200 pallet manifests on a daily basis. Owners, managers, and inventory planners will have visibility as they receive their orders. To inquire or book an advertisement, please contact the Supply Chain Management Department.